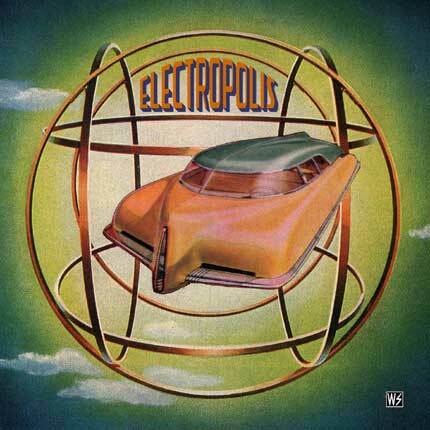 A quartet of bass, percussion, electrosax, and electrumpet, Electropolis produces eleven tracks of interesting jazzy rock on what I believe is their debut. The amplified instruments produce some odd effects; on first hearing I was sure they had a guitarist. Fuzz, distortion, phased-type noises, and other modifications on typical jazz timbres are to be heard. There are no overdubs on this recording, however. What’s more impressive is that five of the eleven tracks are improvised, a challenge not only for the usual reasons of mutual listening and playing off each other, but because there are more and varied tones that can be used as well. There are some reminders of 70s Miles Davis here, both in the often ambient/soundscapeish nature of the compositions, and of course the trumpet sound which often approximates Miles’ sound of the period. Groovy, nimble, and succinct, Electropolis produces a fresh brand of jazz that is worthy of Innova but still approachable and direct. Fun stuff.